Industrial modern office under construction. Reception, conference room, private office, private restroom and break room with open office work space. 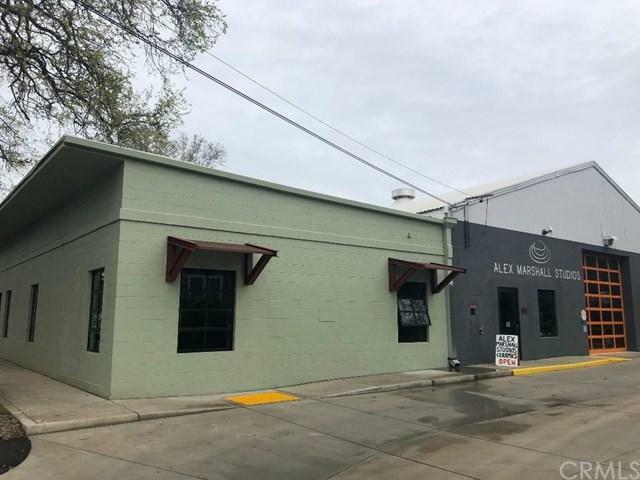 Warehouse complex building includes a new foam roof, new double pane operable windows, creative exterior paint colors and awnings with an abundance of parking. 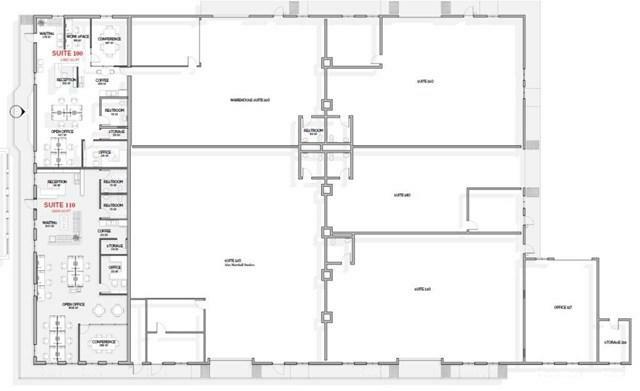 Office space available for a total of 1,480 SF. 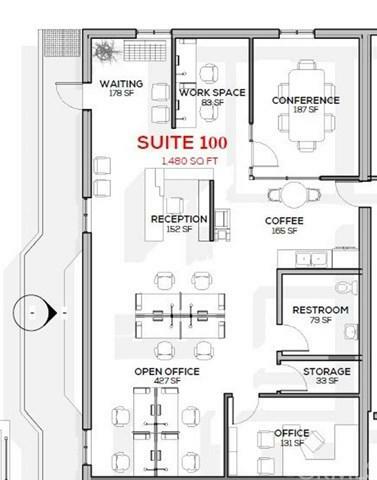 Office space can easily be connected to 2,740 SF of contiguous warehouse space. 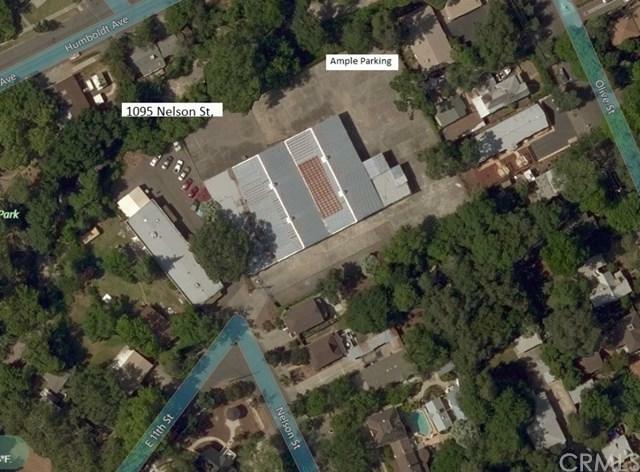 NNN lease at $0.17/SF/Mo. NNN's include common trash and water. Currently being built to floor plan shown. Need adjustments in the configuration? Call soon to discuss customization available as it's currently under construction. The information contained herein has been obtained through sources deemed reliable but cannot be guaranteed as to its accuracy. Lot size taken from public records. Tenant is advised to investigate to their satisfaction.